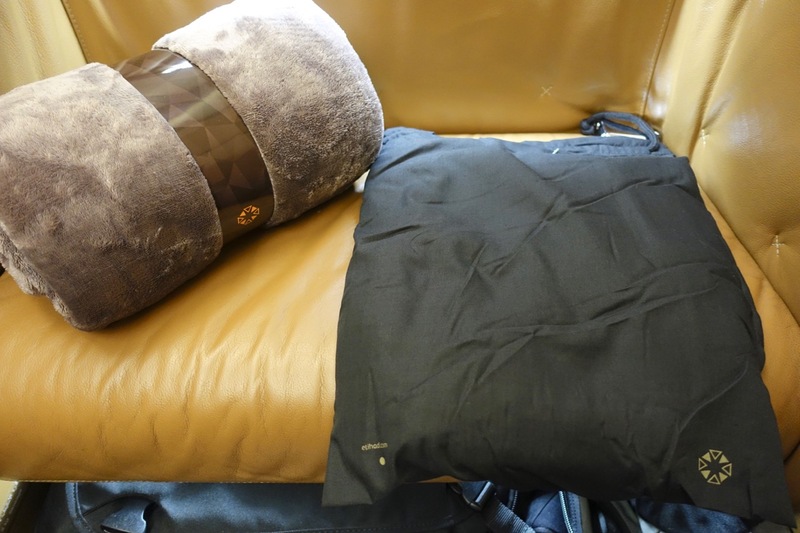 I flew back from Europe with Etihad in First Class as part of a one-way redemption using Velocity Points, initially departing from Geneva, with a stop in Abu Dhabi for 12 hours, and then connecting onward to Sydney. 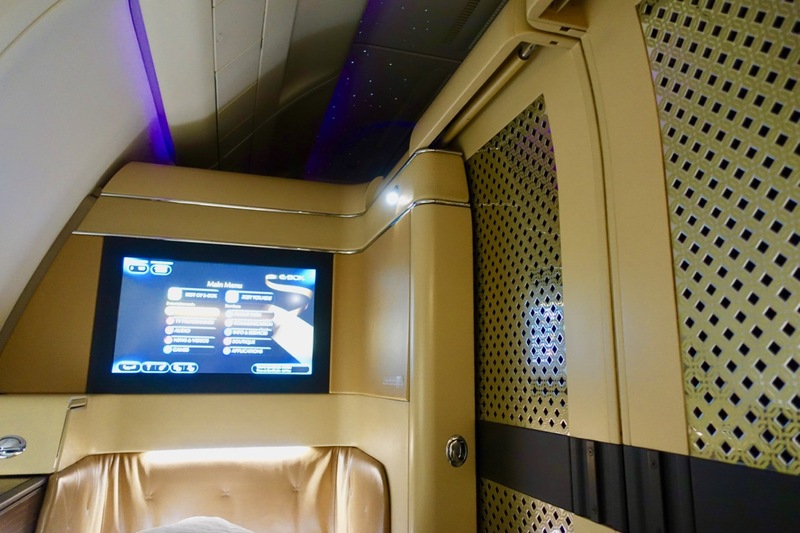 I’ve already covered the Abu Dhabi to Sydney leg in Etihad A380 First Class Apartments, however, before that I enjoyed Etihad’s First Class service in one of their Airbus A330s from Geneva to Abu Dhabi. For this particular redemption, I used 203,000 Velocity Points plus $875 AUD in taxes and fees – a high-cost redemption, for sure but one I was really excited to try out. 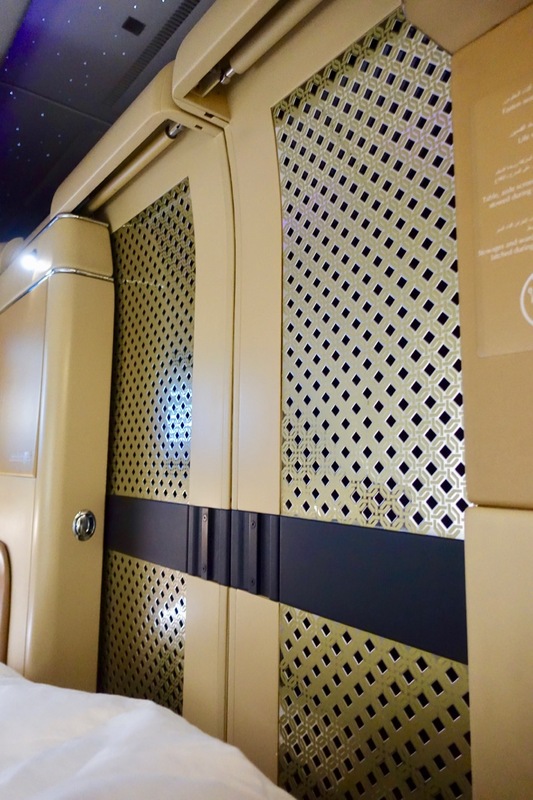 Etihad operates six Airbus A330-300 aircraft in a three-class configuration with 8 Diamond First, 32 Pearl Business and 191 Coral Economy Class seats. 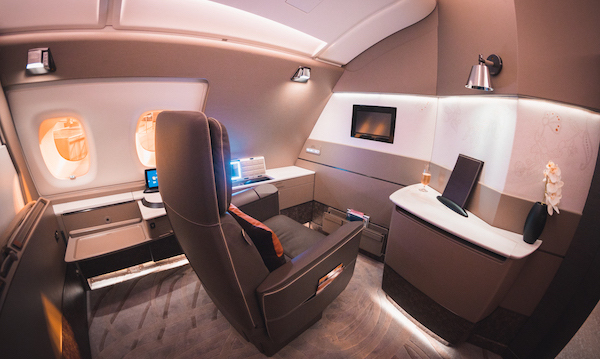 You’ll find the same Diamond First Class product on routes serviced by Airbus A340 and Boeing 777-300ER and -200LR aircraft. 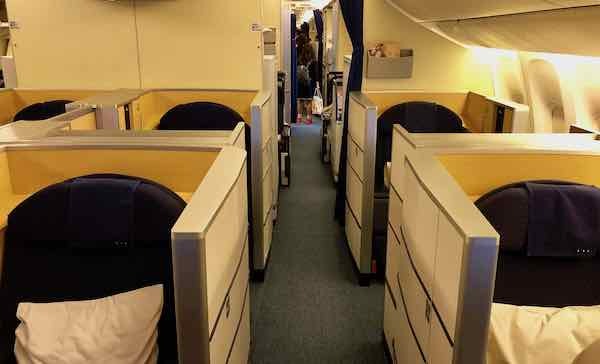 The Airbus A330-300 is gradually being replaced by Boeing 787 and Airbus A340 aircraft. 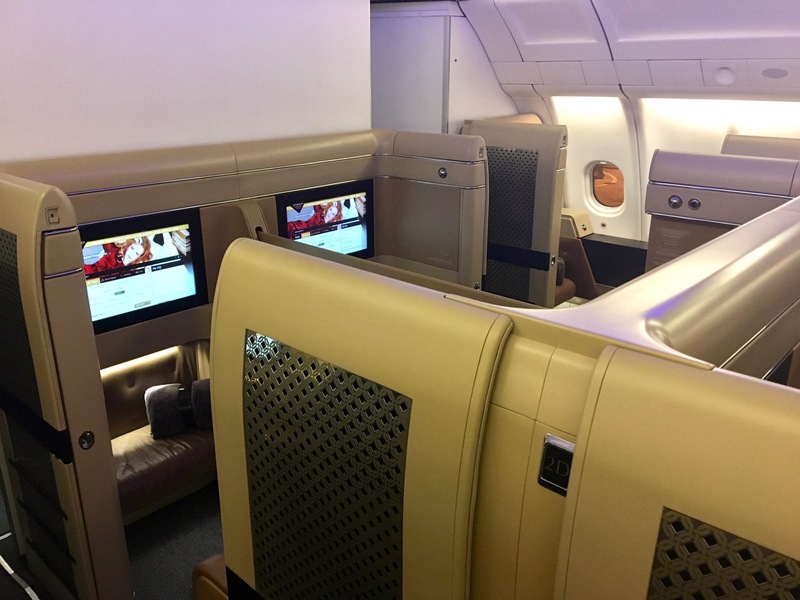 *Figures updated with Etihad Guest’s award pricing changes on its own flights effective January 2018. 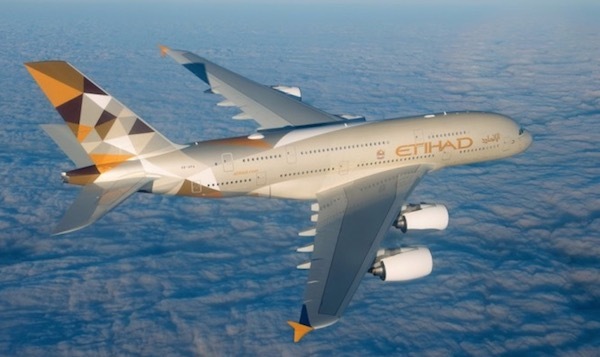 Note that another devaluation to the Etihad Guest is scheduled to take effect from 30 June 2018 and Perth loses service to Abu Dhabi from October 2018. 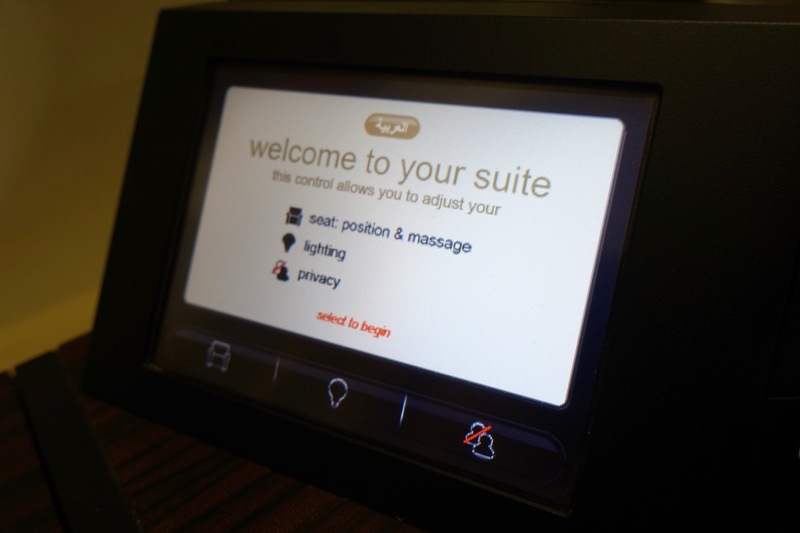 Velocity and Etihad Guest are both flybuys points transfer partners. Velocity, of course, has many, many points earning options in Australia, including all major banks and a number of Velocity-branded or -linked credit cards. 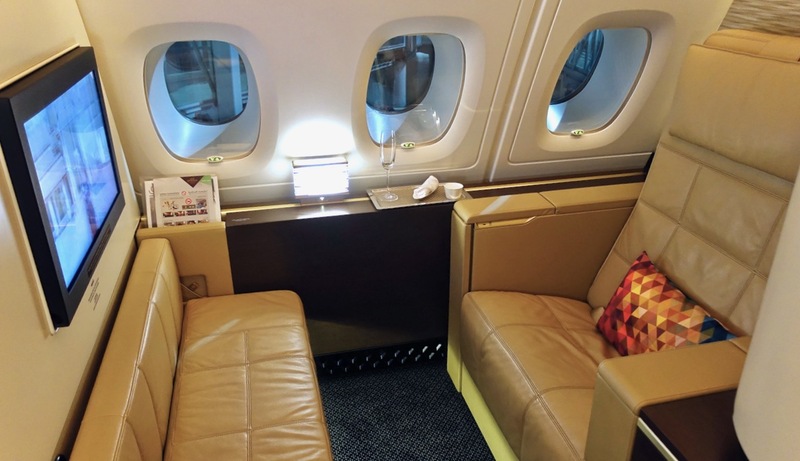 Etihad Guest has less visibility in the market but Etihad Guest Miles are transferrable from American Express Membership Rewards or Citi Rewards as a Citi Prestige cardholder, and flybuys, as mentioned before. There’s no AAdvantage-linked credit card in the market in Australia but AAdvantage miles can be earned via cards linked to both Membership Rewards and Diners Club Rewards – for American Express Membership Rewards, you can transfer to AAdvantage via Starwood Preferred Guest. AAdvantage will usually always win when it comes to taxes and fees – they should be minimal. 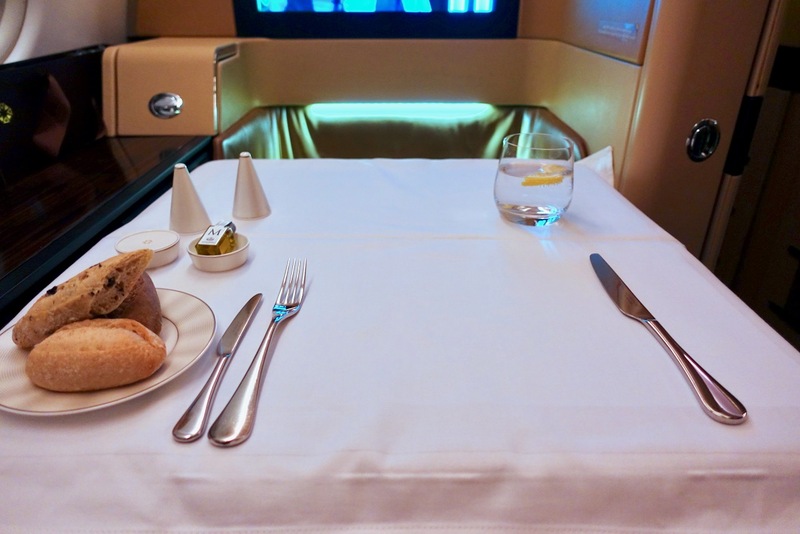 Etihad Guest charges substantial fees but without the additional surcharge imposed by Velocity. 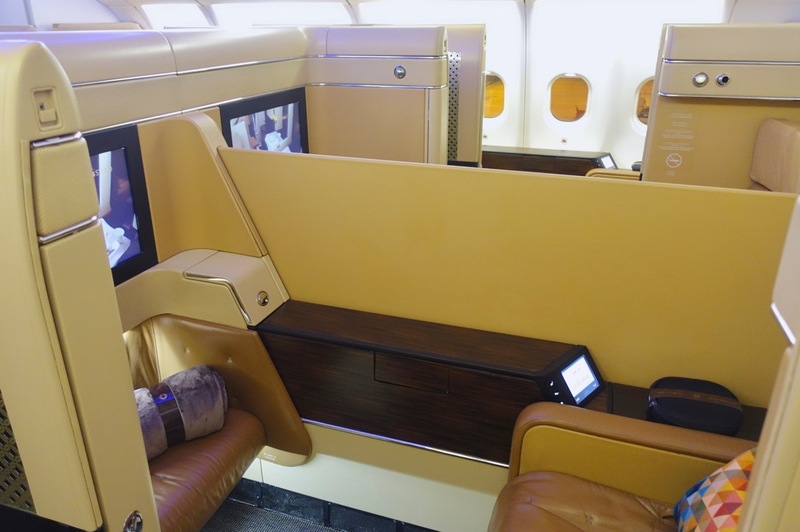 Velocity’s Etihad surcharges are very high, and increase for each additional sector you add into your itinerary, making one-stop return itineraries to Europe expensive in terms of out-of-pocket costs. 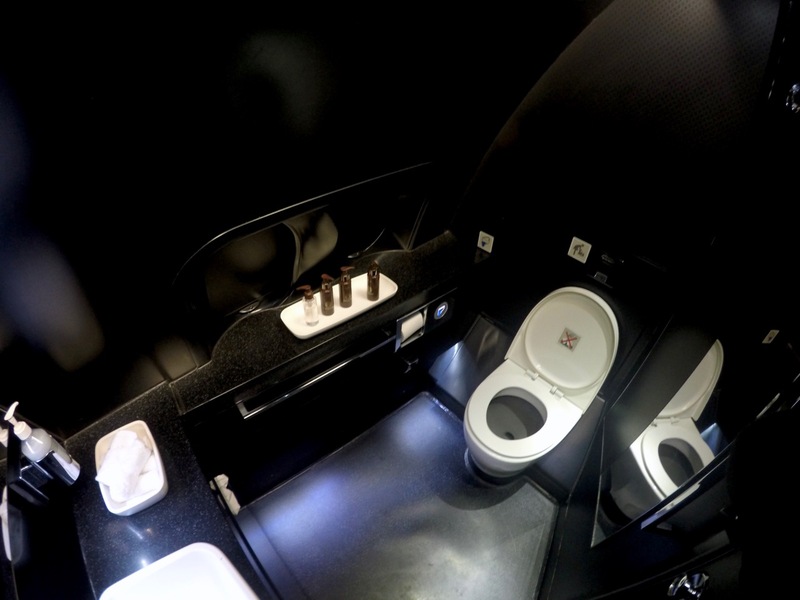 First things first: the Diamond First offering on the A330, A340 and 777 differs from the superior First Apartments found on A380 flights, which offers an onboard shower and bar. 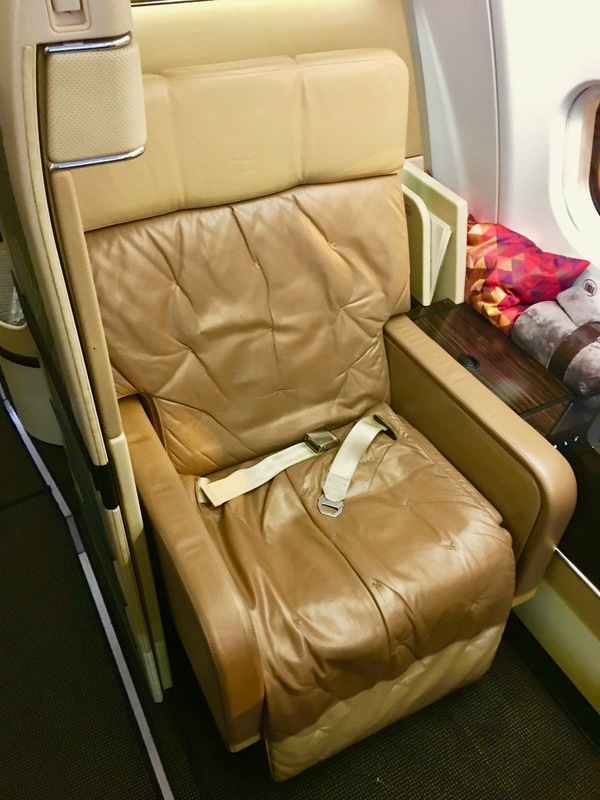 There’s a 30-inch wide seat which can be fully enclosed with sliding doors for total privacy, with an abundance of beige and cream leather all around. 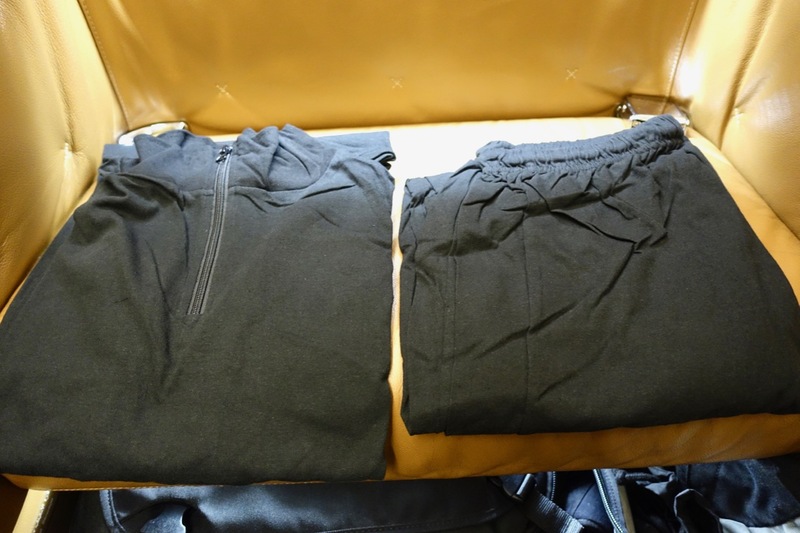 You can hang any clothing you like in the close in next to the suite door, and it’s large enough for your shoes too. 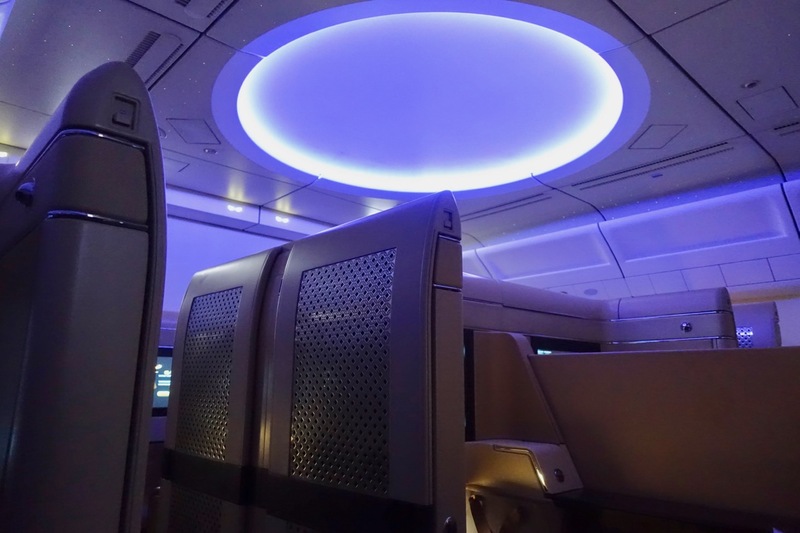 Etihad’s A330s have some great mood lighting, helping me settle in for a short red-eye of about six hours to Abu Dhabi from Geneva. Immediately after dinner I asked for my seat to be made into a bed. At which point I shut my doors and enjoyed a solid few hours of rest. 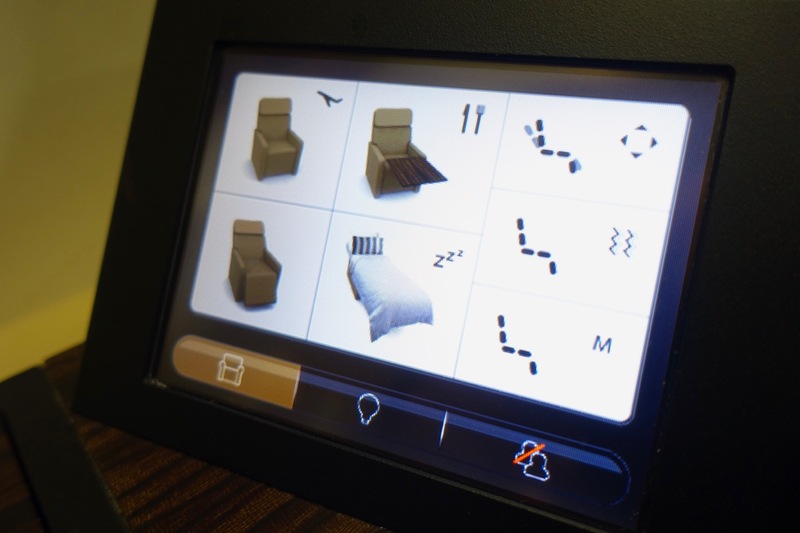 Controls for your seat and suite lighting are on a large touchscreen found next to your seat. 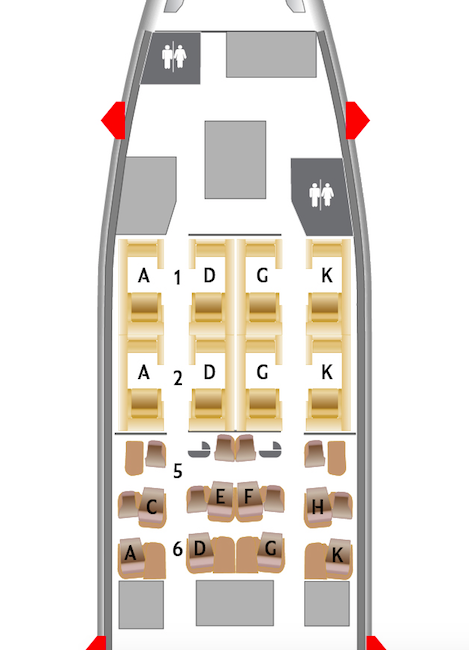 If you are travelling with a companion, you’ll probably want to take the centre seats, which are 1D and 1G, or 2D and 2G. 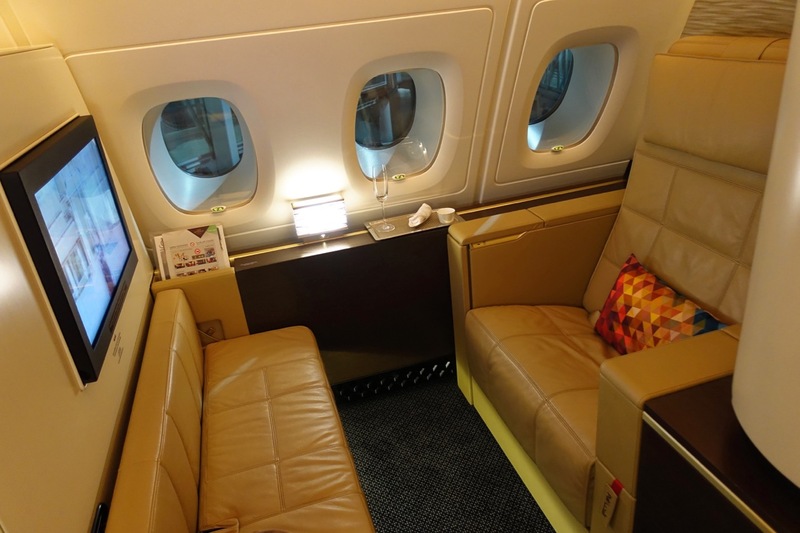 If you are travelling solo, one of the window seats (1A, 1K, 2A or 2K) will afford you better views of outside. 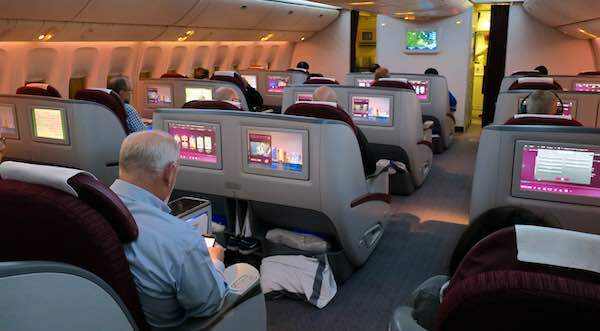 In terms of noise, you’ve got a decision to make: if you’re seated in row 1, you’ll experience more foot traffic to and from the galley and the two bathrooms in front; if you’re seated in row 2, you’re cushioned from noise from the Business Class galley by two rows of Business Class being located directly behind you but do note that there are two baby bassinets behind 2D and 2G, which could or could not be being used. 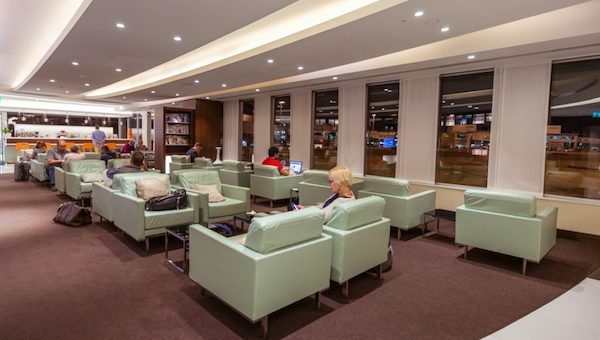 You could always change your seat assignment at check-in, in the lounge or at the gate with regards to the information the agents have about other passengers (subject to availability, of course). 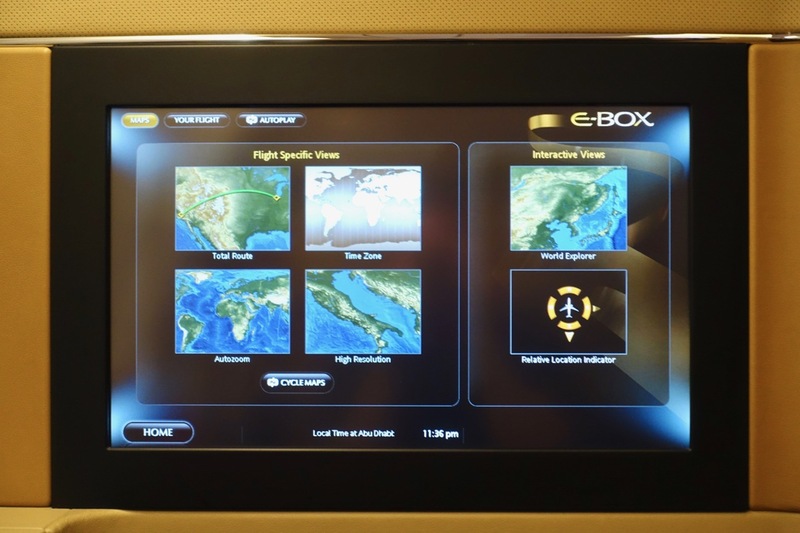 Etihad’s Diamond First Class offers a 23-inch personal television screen with Etihad’s excellent selection of movies and TV. 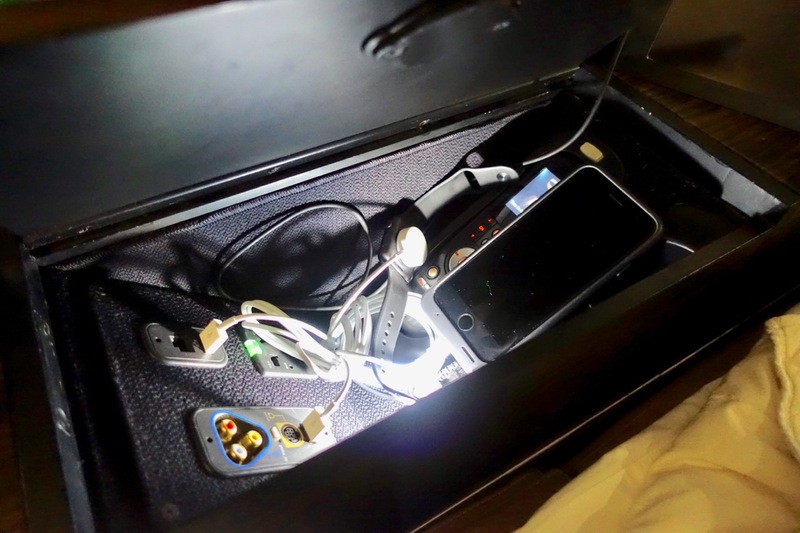 Your remote is found in a small storage nook under your armrest – also useful for stowing all pocket gear. 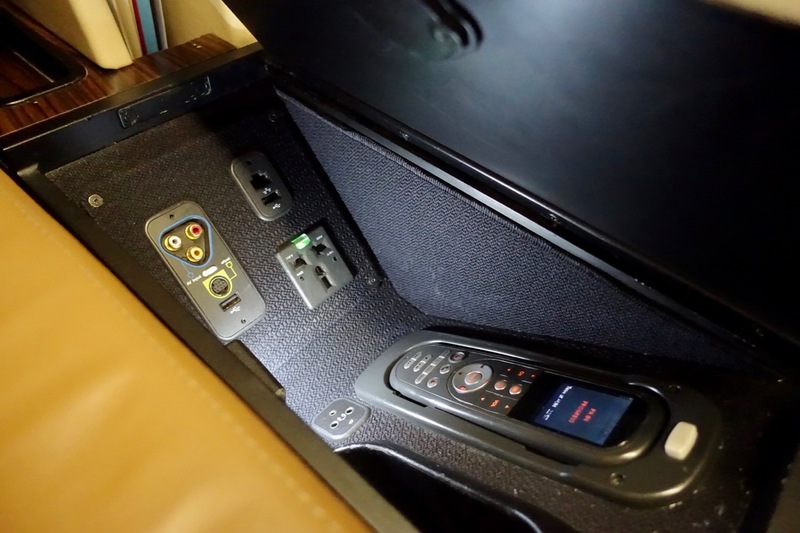 There is a complimentary 90mb WI-FI access for First Class passengers across their fleet as well. 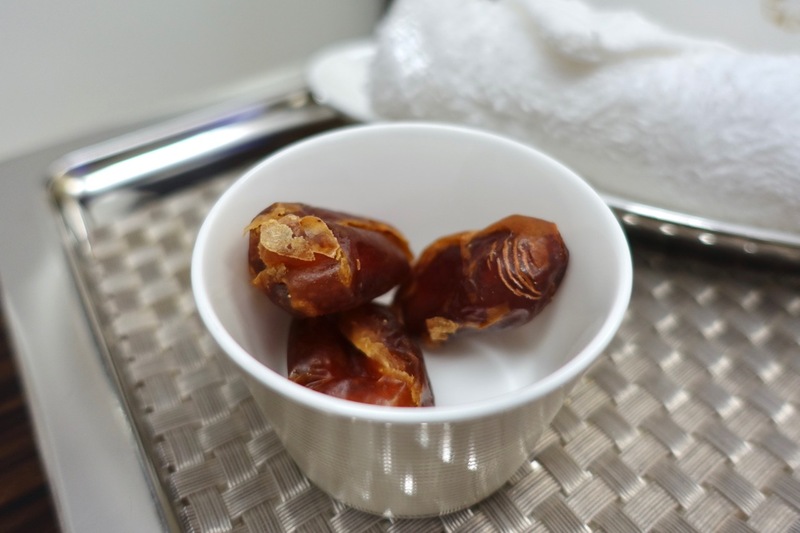 I took a glass of champagne on boarding, along with some Arabic dates, although I declined the coffee given my plan to get as much rest as possible. I was also served some welcome snacks. As soon we were up in the air, we got down to business with dinner. 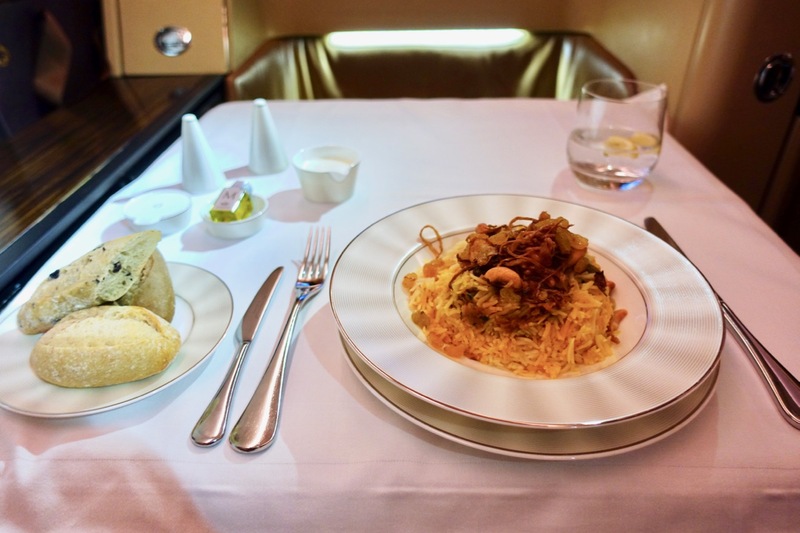 I opted for a the lamb biryani, which was pretty tasty but nothing too extraordinary. 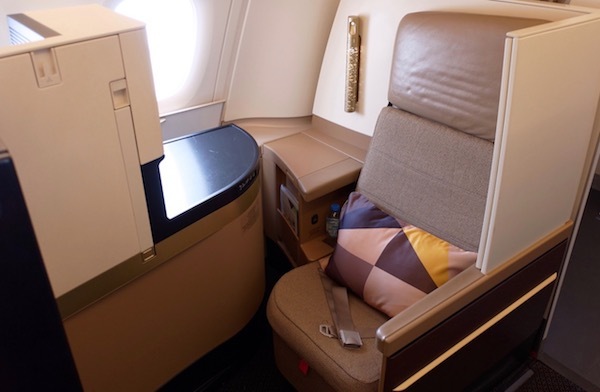 At your seat, you should find a comfortable blanket, and pyjamas are offered on all of Etihad’s First Class flights. 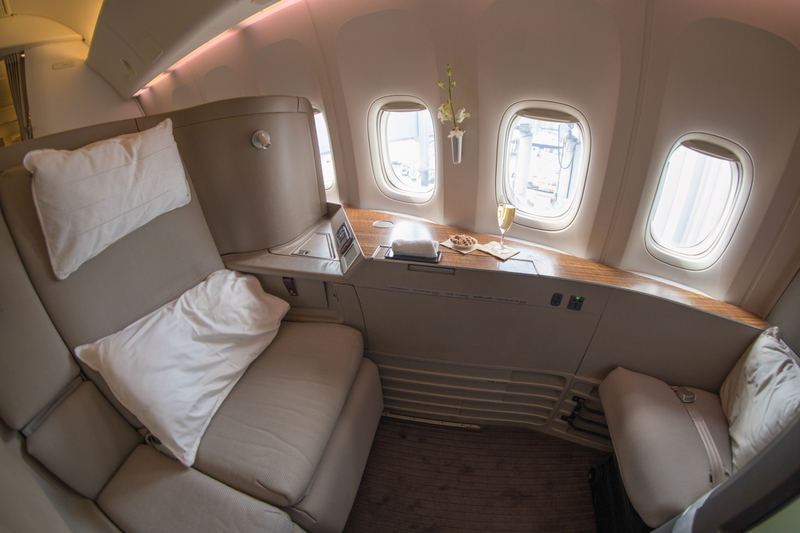 In Sydney, London, New York JFK and Paris, you’ll gain access to the Etihad Airways First & Business Class Lounge/The House. 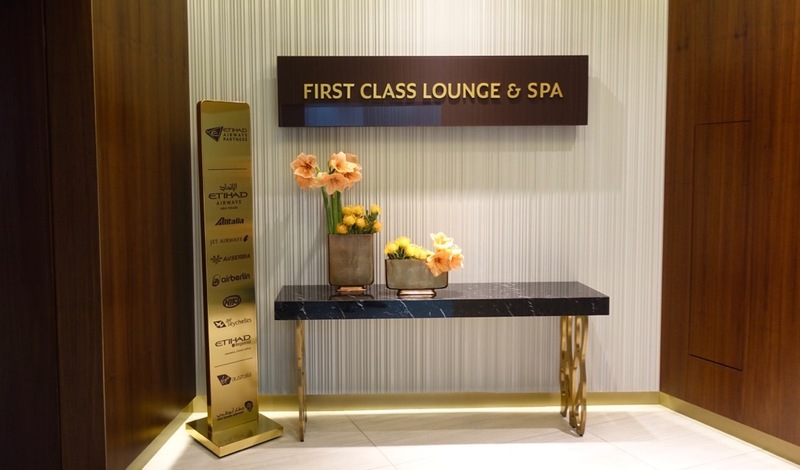 In Abu Dhabi, Terminal 3 hosts both a First Class Lounge & Spa and an Arrivals Lounge. 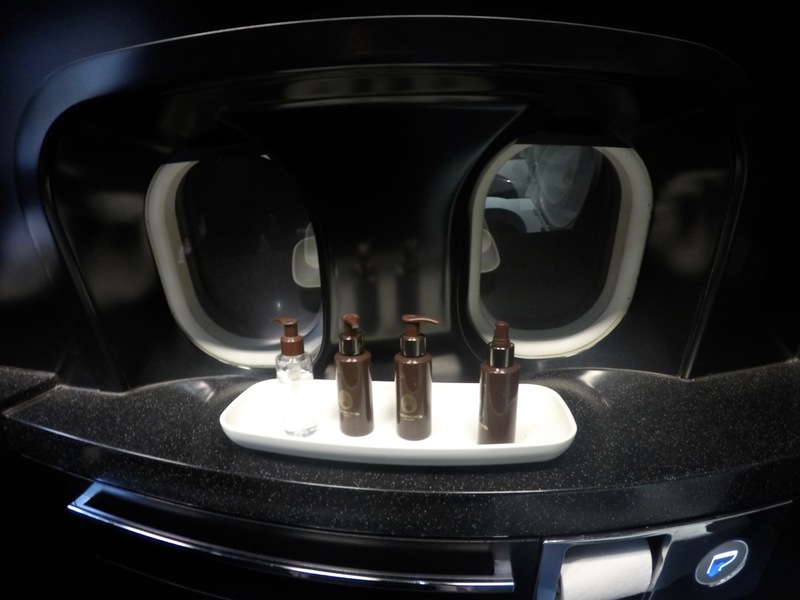 I chose Etihad from Geneva to Sydney thanks to their relationship with Velocity. 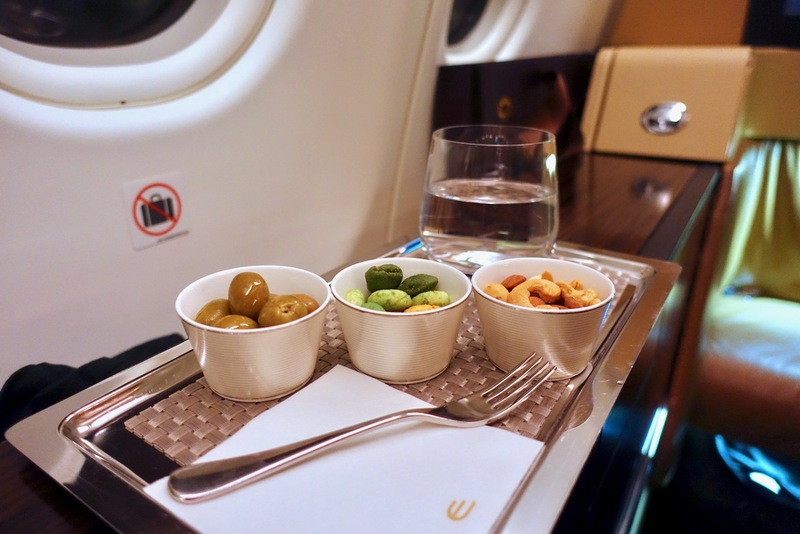 Velocity points are not too hard to earn and, despite the high taxes and fees, I was keen to travel with Etihad again thanks to great experiences in Business Class in the past. 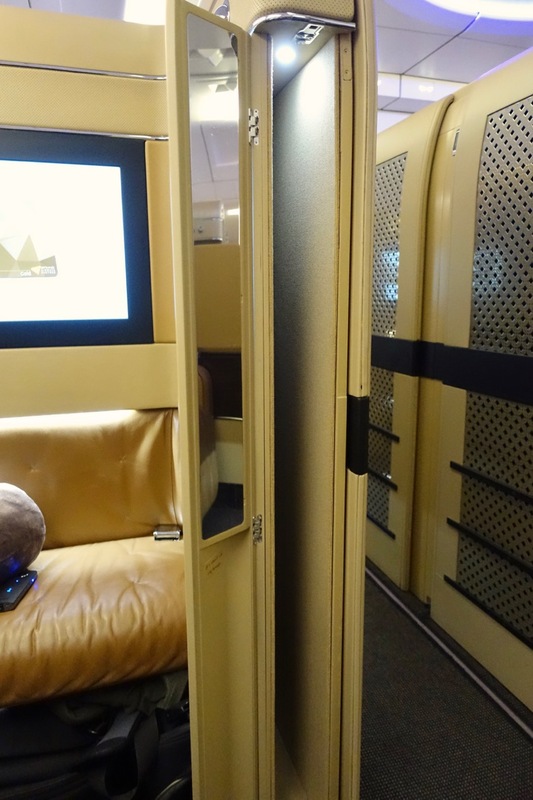 Etihad’s Diamond First Class seat and service were really solid. The crew on my flight were especially attentive, kind and pleasant to interact with. I felt sad to leave, to be honest, possibly more so than on my next flight to Sydney from Abu Dhabi. The bed was exceptionally comfortable and spacious, and the doors creating ultimate privacy with the Diamond Suite allow for even better rest with more privacy. 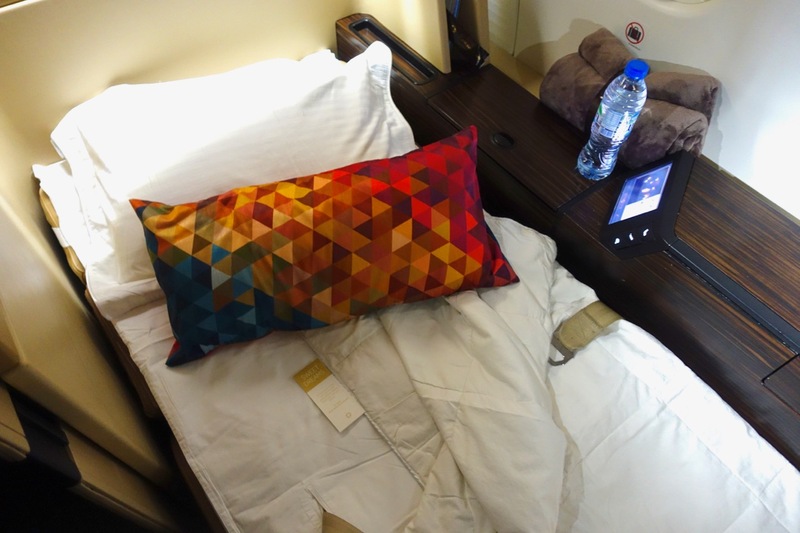 I wouldn’t hesitate to flight Etihad again thanks to my recent experiences with them, especially if using Etihad Guest miles or Velocity points. IIRC AAdvantage prices Etihad flights to Europe as two sectors: SYD or PER-AUH // AUH-GVA. 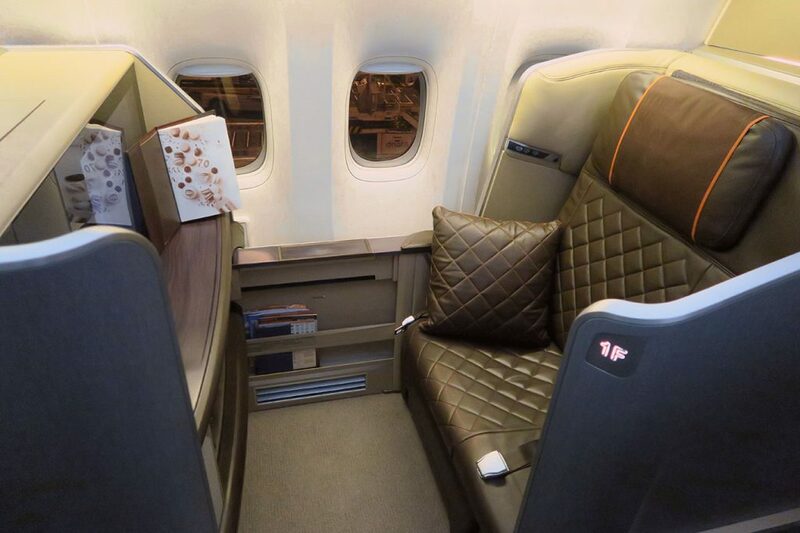 First class comes out around 160,000 pts. Please check your 115,00 pt figures. You’re right! 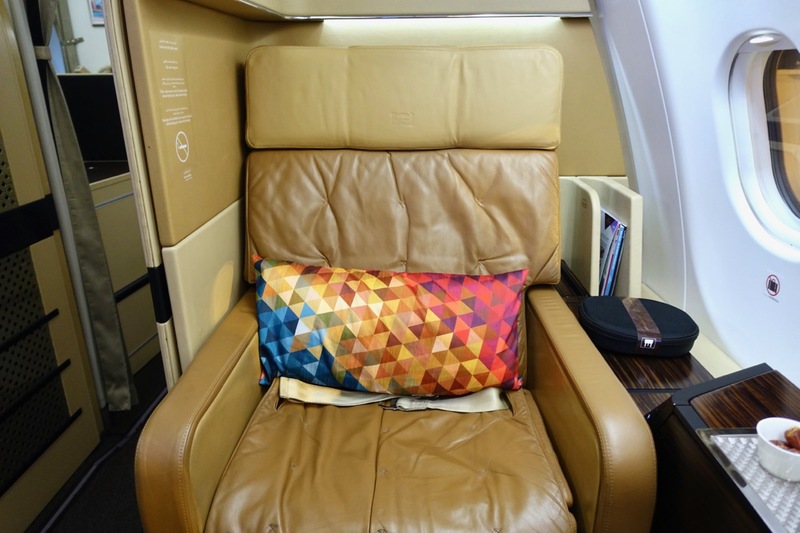 AAdvantage redemptions on Etihad flights between two different regions, e.g. 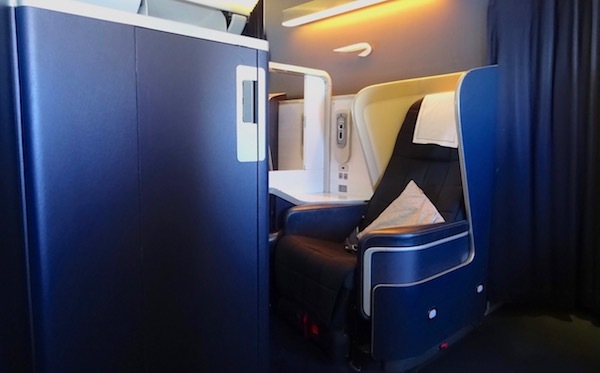 South Pacific and Europe, require booking two separate awards. 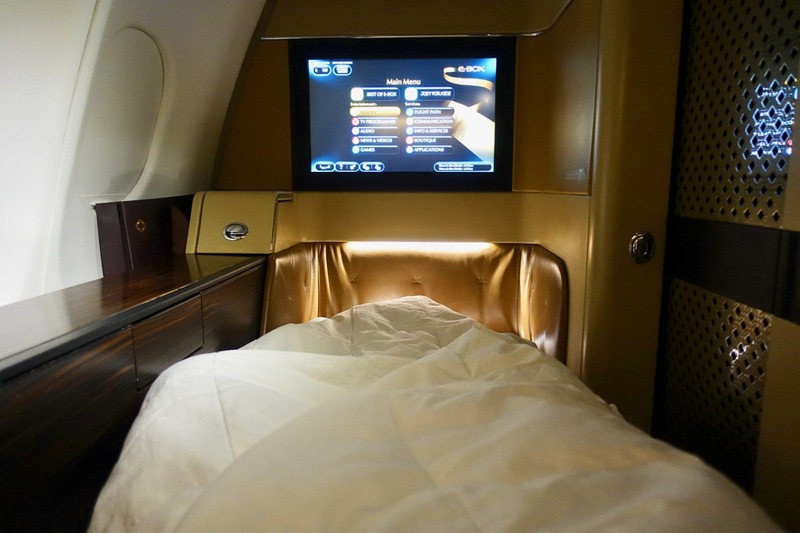 This and our other Etihad reviews have been updated. Thank you. 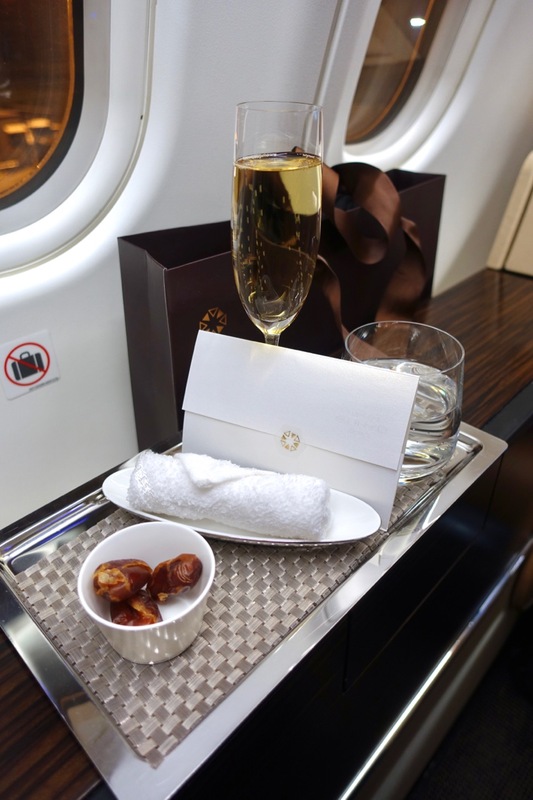 I am a VA Plat jetting between Syd and Gva often so I have been looking for a review of this flight. Thanks! I have many ujusednpoints so I will be keeping an eye out for a redemption. Thanks, glad this was useful! 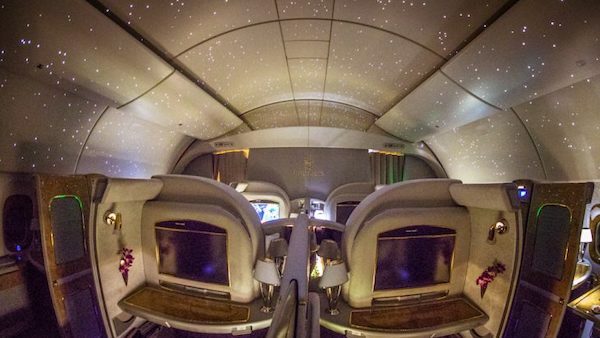 Economy Class passengers can now buy access to Emirates lounges but is it worth it?